Pink Glass Bottle Vase - Pretty pink bud vase in pink with cut glass effect decoration, perfect for a vintage boudoir. Beautiful cut glass, dimpled Pink Glass Bottle Vase, will easily hold single stem flowers for a charming look to any home decor. Simple and beautiful, the pink adds a touch of colour to a room. With more vases and decoratives bottles in a choice of colours and sizes. 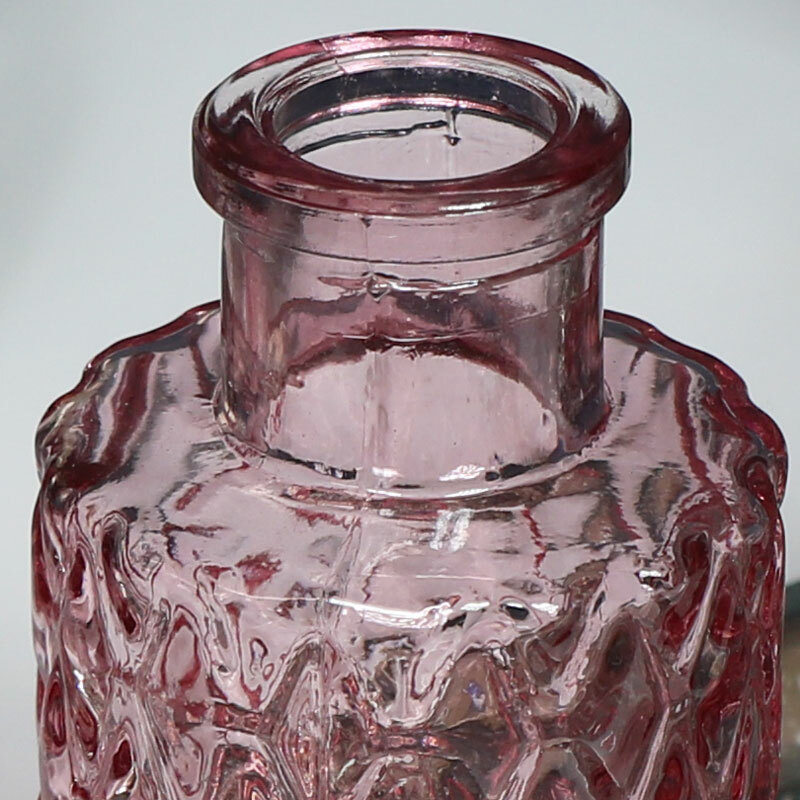 Pink Glass Bottle Vase - Pretty pink bud vase in pink with cut glass effect decoration, perfect for a vintage boudoir. 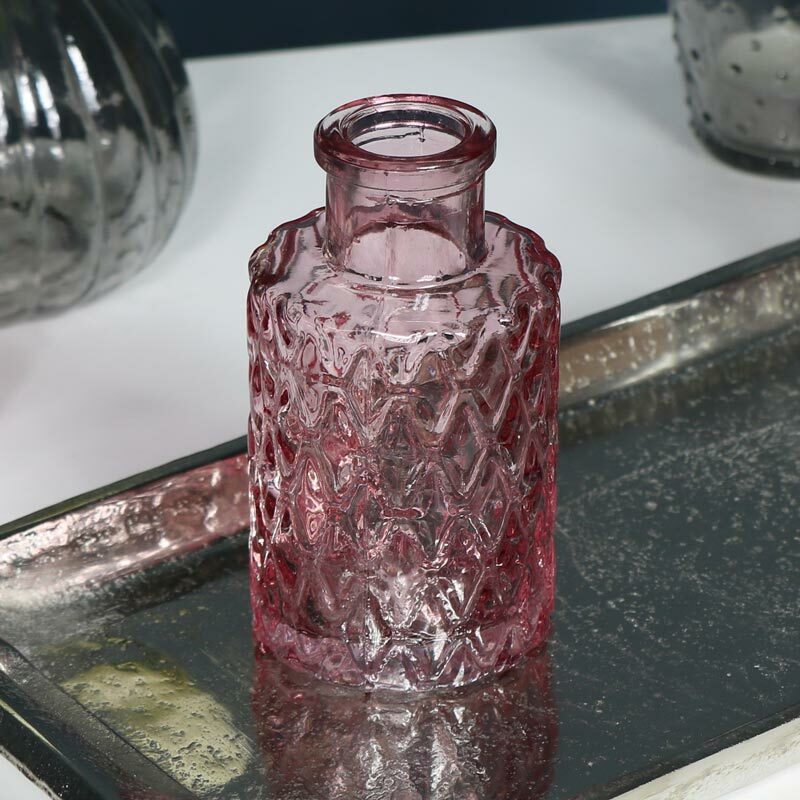 Beautiful cut glass, dimpled Pink Glass Bottle Vase, will easily hold single stem flowers for a charming look to any home decor. Simple and beautiful, the pink adds a touch of colour to a room. With more vases and decoratives bottles in a choice of colours and sizes. Made from glass in a smoked pink with dimpled, cut glass detailing.